In movies and TV shows, families are often portrayed singing Christmas carols, warming up by the crackling flames of a bustling fire. Kids wait in anticipation for perfectly-wrapped presents from Santa and his reindeer and presents adorn the bottom of many Christmas trees. This iconic Christmas mascot, even through countless years of traditions, has not changed in relevancy—but has in composition. Due to a lack of preparation, increase in cost and maintenance, real trees are becoming less desirable to the everyday-working American. Many opt for a synthetic tree in these circumstances but despite these valid concerns, the smell of real spruce and sap fresh from its needles is enough to continue the purchase and set up of a real tree, for many, every year. So, the question is, which one is better for you? 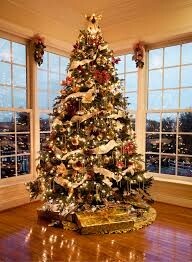 With the advancement of technology and manufacturing, synthetic trees are becoming more cost effective. Designs for new trees come out every year for consumers to pick and choose as they please. Not to mention, transporting this type of tree is a no-brainer as most come in a compact cardboard box that easily fits in the back of a car with no extra hassle. When asked her stance on synthetic or real trees, senior Talon writer Madison Stites said, “Synthetic trees are great because you can reuse them every year and they cost less money in the long run.” Unlike a real tree, pine needles won’t be scattered all over the floor and you don’t have to worry about getting tree sap on your favorite sweater. Some synthetic trees even come with lights already on them, so you don’t have to wrap them around the tree. When Christmas is over, all you have to do is disassemble the tree and squeeze it back in that cardboard box for next year. Even though synthetic trees are very popular, families who stick with true Christmas tradition chose to buy real trees every year. The appeal is all too apparent. The excitement of searching for the perfect tree; no two trees the same. The familiarity of trees tied to the roofs of people’s cars. Houses filled with the powerful aroma of spruce and pine. The joy of decorating the tree and customizing it just the way you want it. Using up the tree wood for bonfires after Christmas is over. Lianys Olmeda, a senior Talon writer argues, “Real trees are better because immediately when you smell fresh pine, it elicits the true feelings of joy and happiness that Christmas brings. Not to mention real trees look fuller and they get you in the mood for celebration.” Despite the cleanup and maintenance of a real tree, its inevitable charm keeps families coming back for more. In places that don’t see much winter weather, like here in Florida, a real tree is a little taste of Christmas without the snow. No matter what you prefer, Christmas is a time to celebrate the end of a new year with the ones you love. Traditions are always changing but the ones you choose to keep last on through generations. So, make the best choice for you and your family and celebrate the holidays with a Christmas tree that everyone will love.